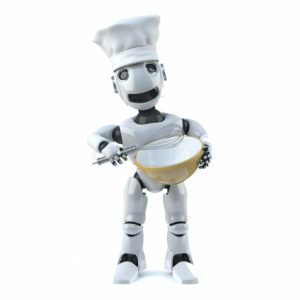 Customer Experience: the perfect recipe based on new technologies! Hyper customization: CX uses information and data to offer highly personalized contents, products and services that are relevant to the context and the unique experiences of each customer. Chatbox: Thanks to the use of coded rules and Machine Learning, the Chatbox can replace operators, using customer and company data to provide quicker and more customize responses. Integrated Channels: The companies at the forefront of CX are going beyond the experiences “omni-channel” and they’re already thinking about the next step: that one of “integrated channels,” where more channels are combined dynamically to form the elements of a unique set. Internet of Things (IoT): Enabling products, services and other digital assets to acquire and share data the Internet of Things ensures that the CX based on real-time information about consumer trends and performance of products. Thanks to the IoT is possible to understand how customers use the products and intervene with appropriate updates, improving future iterations. Also the data obtained from the IoT allow you to predict future needs based on past behaviors, acting early to satisfy customers. Adaptive intelligence: New technologies such as machine learning and artificial intelligence mean that CX applications can “learn”, automatically generating successive iterations of themselves capable of satisfying every time increasing customer expectations. What emerges from a study made by Oracle in conjunction with Coleman Parkes Research is that we face a real technological revolution whose protagonists are virtual reality, artificial intelligence and other technologies listed above. The 48% of sales and marketing directors interviewed stated that digital and mobile technologies have generated a huge change in how they interact with their customers. The digital revolution will express its full potential only if the technology will be supported by accurate, consistent and granular on customers. But, on the contrary, many companies have not yet adopted processes or technologies making it possible to define reliable customer profiles. The 30% of the respondents acknowledged being unable to define exact profiles of individual customers, and a similar number said they were losing customers because of irrelevant interactions. It is therefore a clear need to move to a CX infrastructure connected and based on data. To help companies undertake this journey of transformation of CX, Oracle has developed a five-step approach: the definition of corporate strategy in order to understand what must be the distinctive elements to be emphasized to make recognizable a company from another competitor; the creation of a map of the customer journey; the study of the degree of “digital maturity”; the analysis of digital technologies available and data processing instruments; building an agile environment. The Oracle CX suite is a comprehensive portfolio of advanced, integrated and data-driven applications: the offer of preconfigured solutions for specific industries and on-premise or cloud integrations were made specifically to support companies in their development work in Customer Experience area.